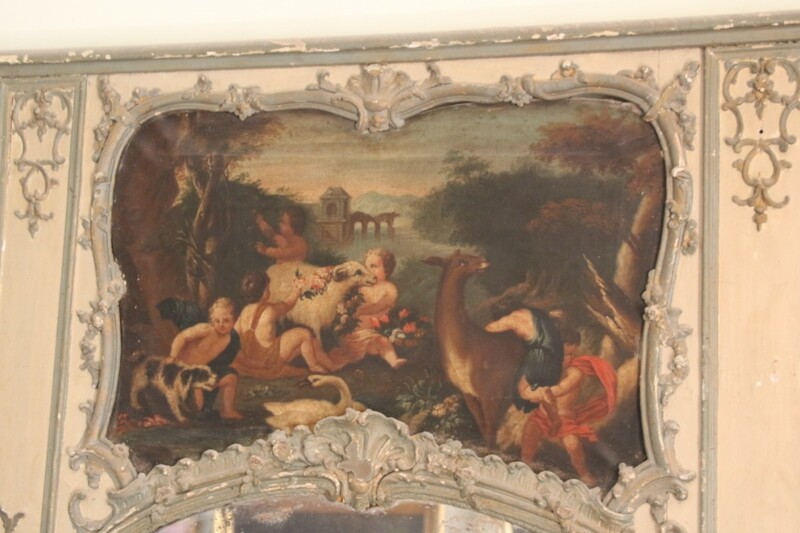 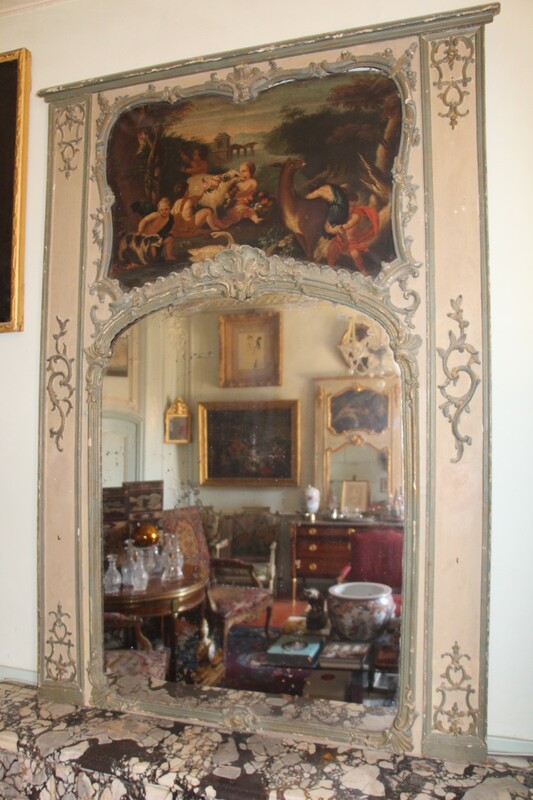 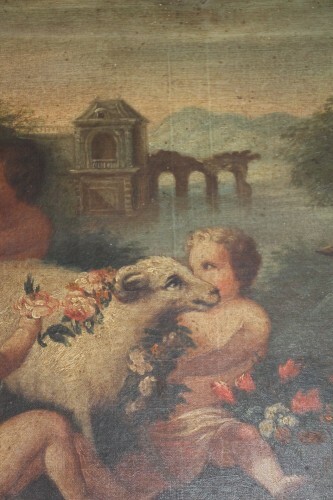 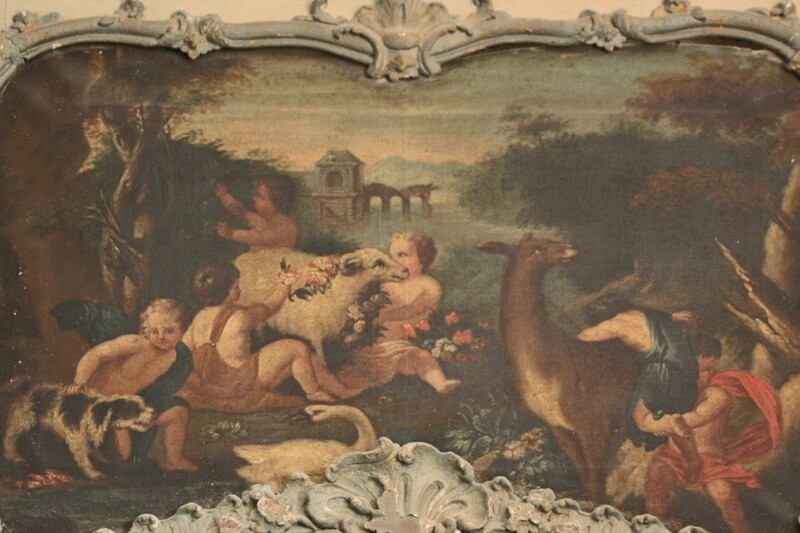 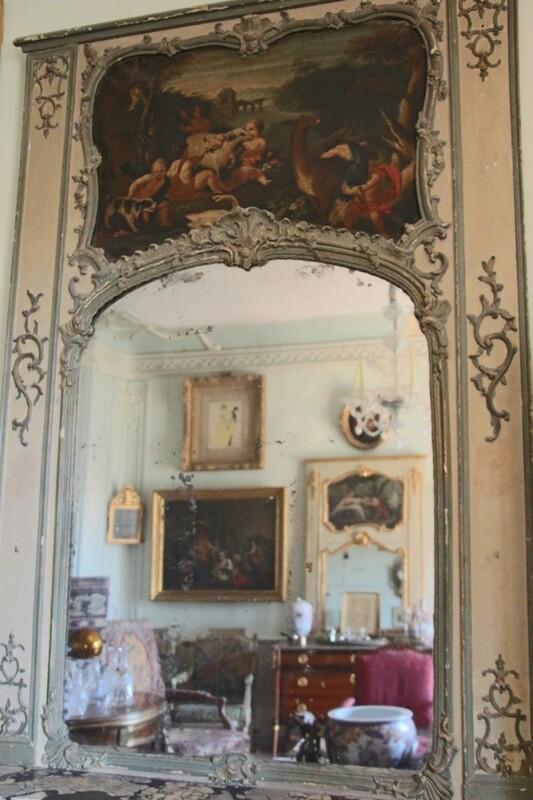 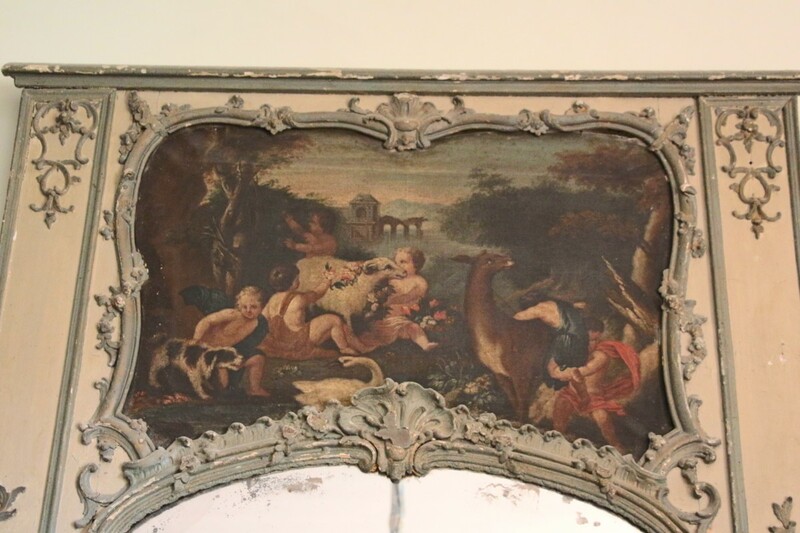 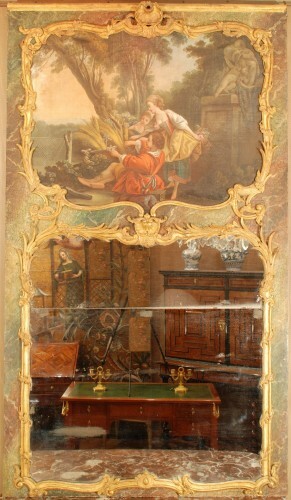 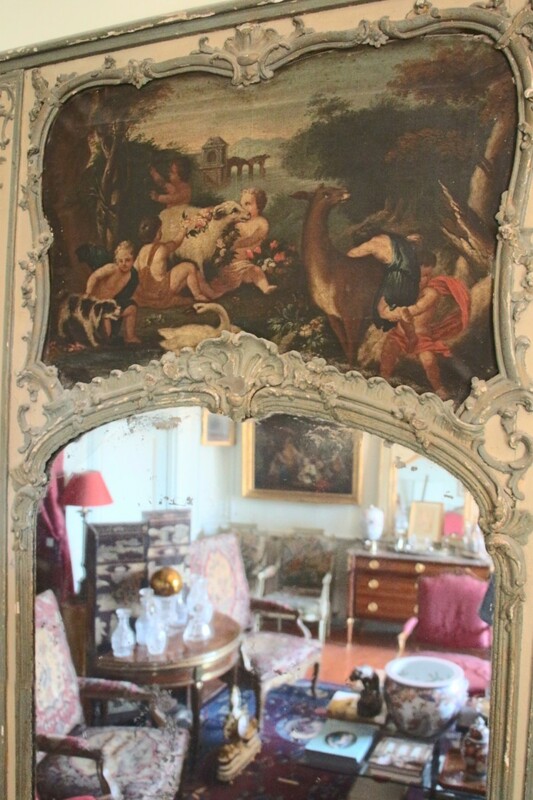 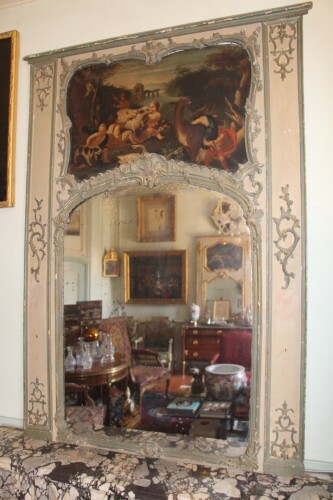 Light green lacquered trumeau, richly carved with shells, flowers, scrolls and acanthus leaves; as well as a painting depicting a country scene, animated by children and animals, including a llama playing in a park. 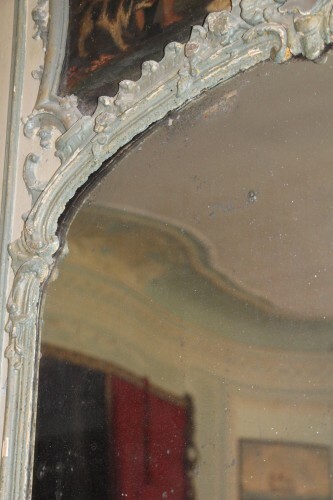 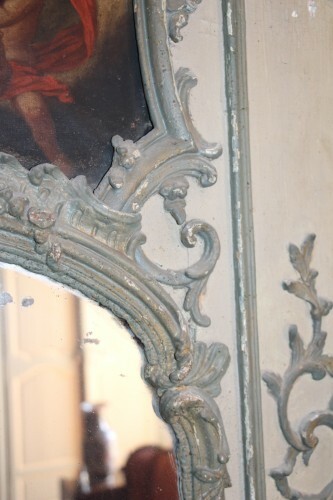 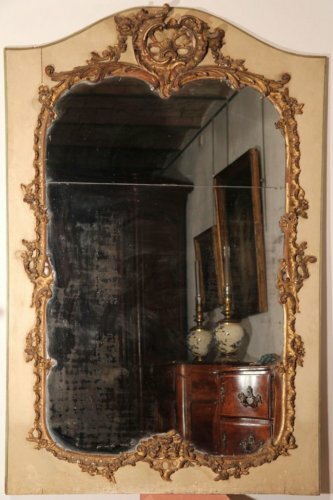 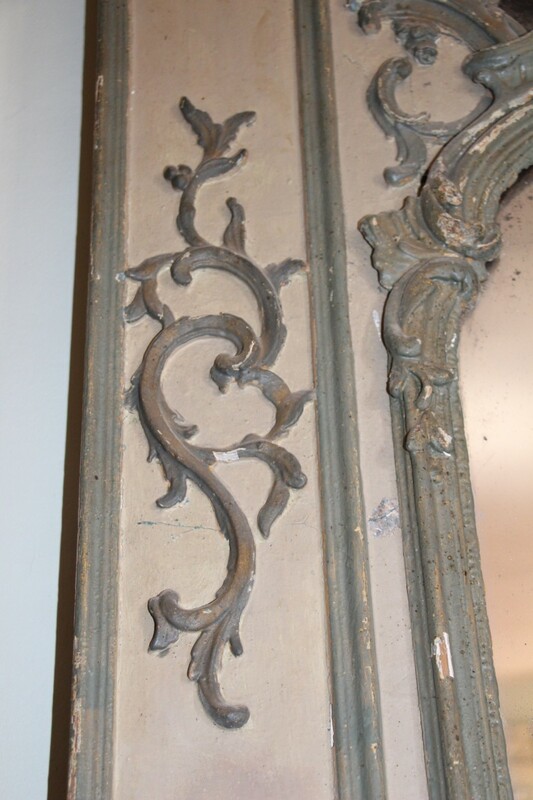 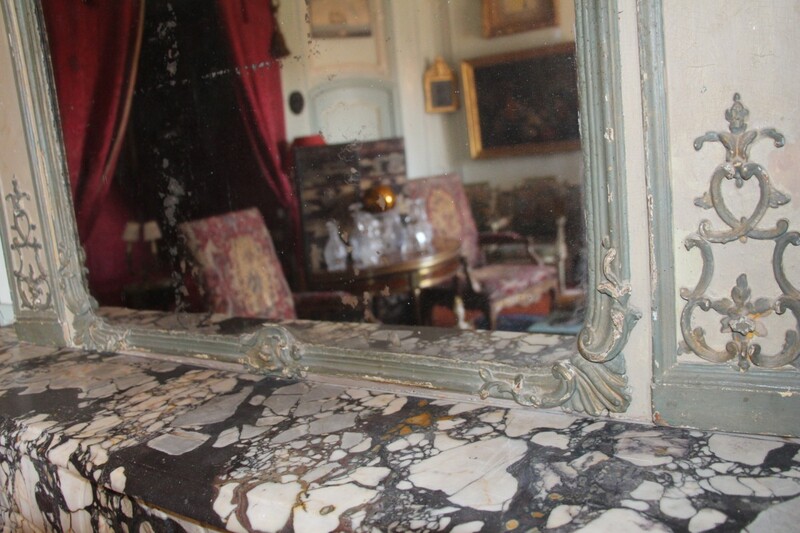 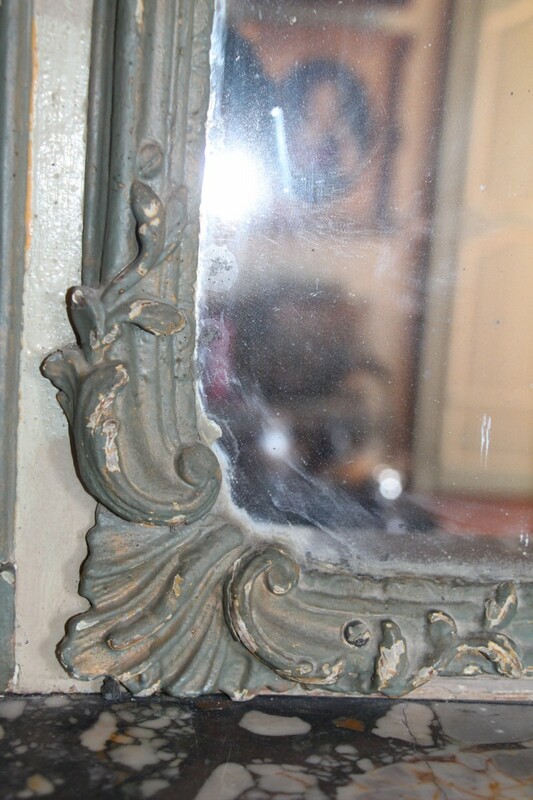 Our trumeau has its original mercury mirror and lacquer. 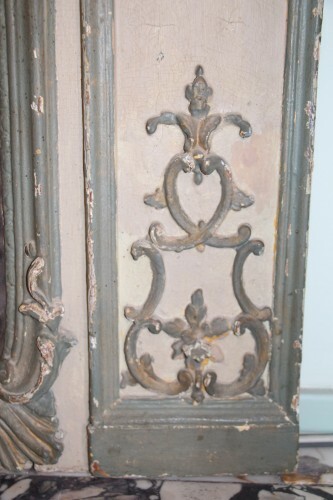 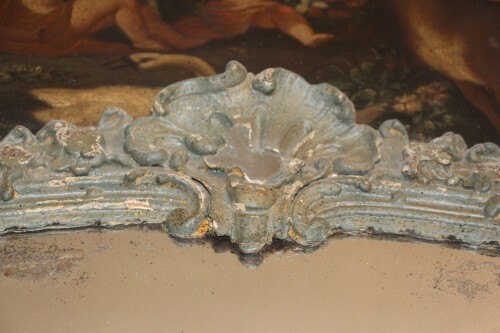 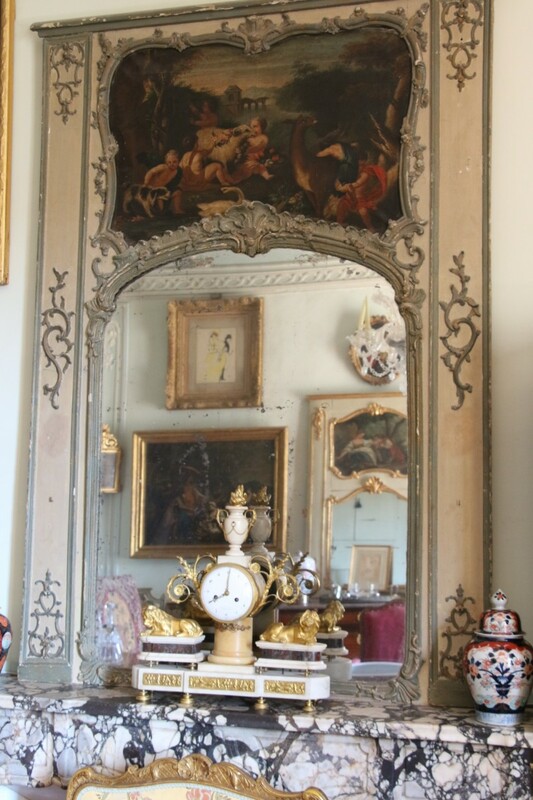 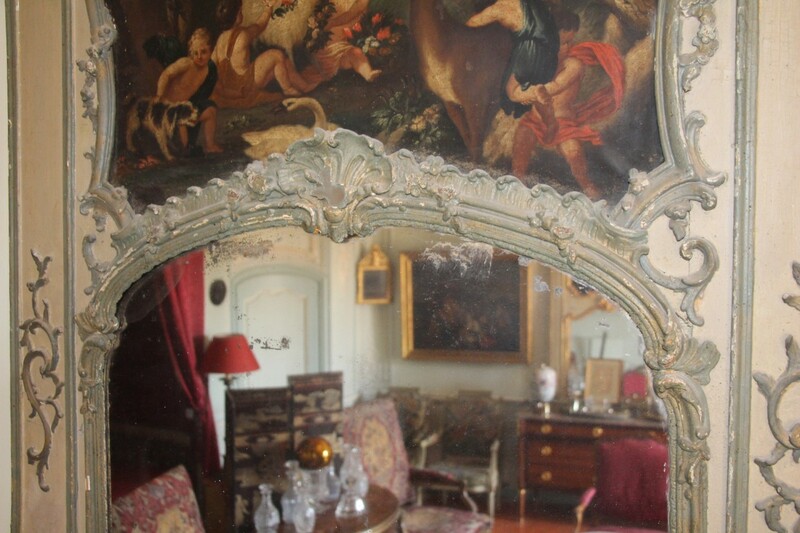 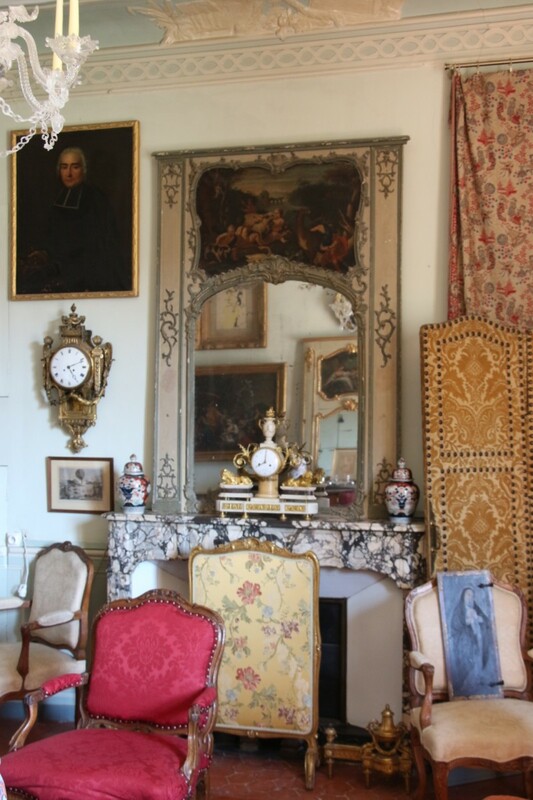 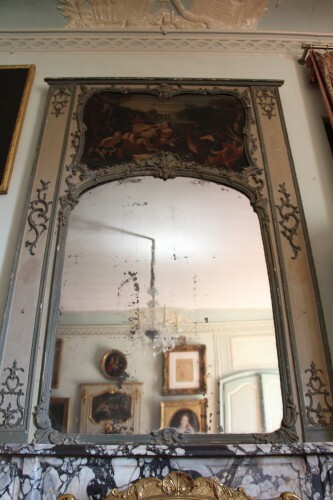 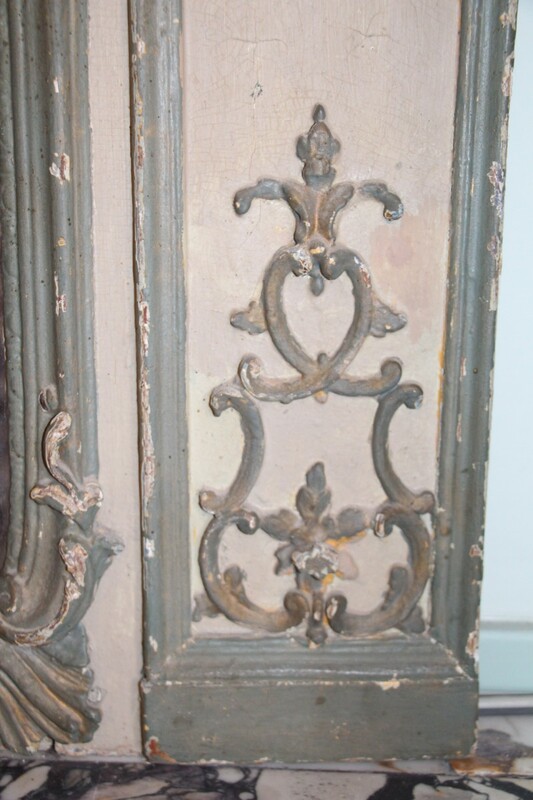 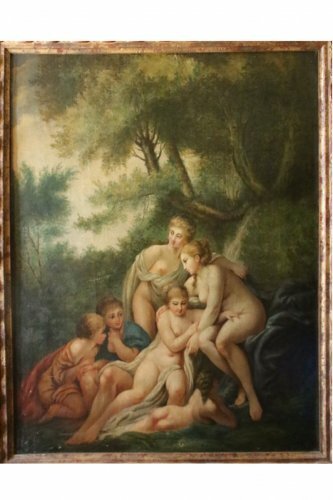 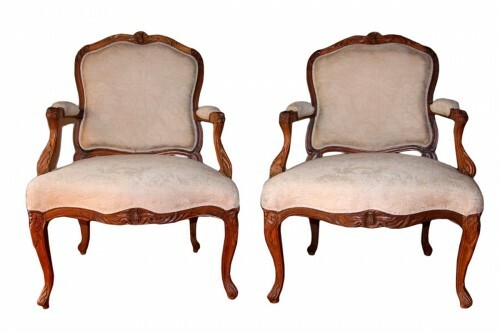 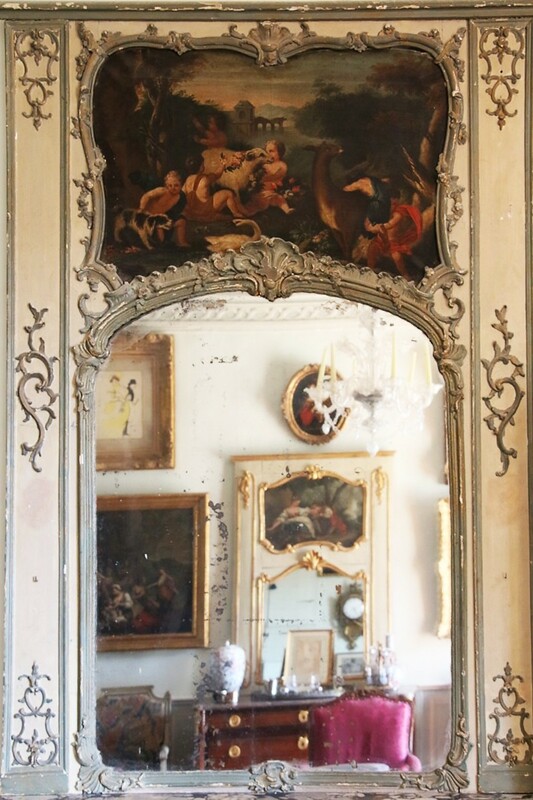 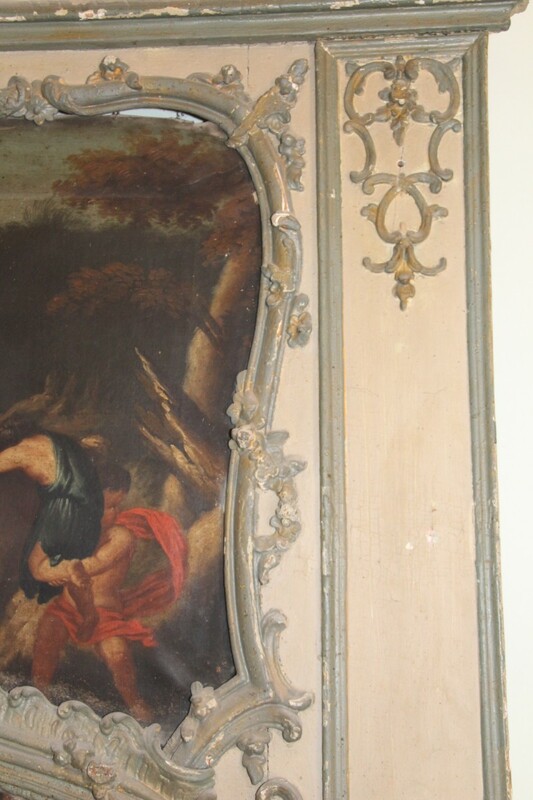 It is of Provencal origin, in the pure Rococo tradition, Louis XV, eighteenth century. 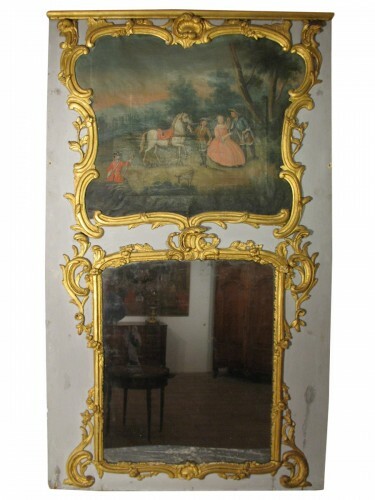 Dimensions: Height: 176 cm, Width: 124 cm. 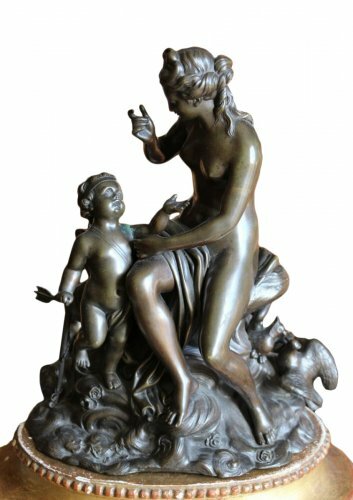 18th century Bronze group "Venus and Cupid"